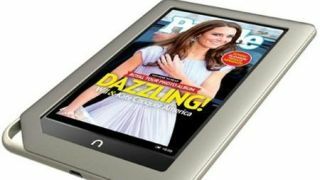 John Lewis will be the first high street retailer to sell the Barnes & Noble Nook ereader when it launches in the UK this autumn. The Nook Simple Touch and Simple Touch with GlowLight will be available at John Lewis high street shops as well as online, and if you've got something against John Lewis for some reason, you'll also be able to get them directly from Barnes & Noble at www.nook.co.uk. Deals and pricing are yet to be announced, although the Nook ereaders will be available at some point in October – just in time to make it on to your Christmas wishlist, then. Both companies are pretty happy with the situation, with B&N glad that UK consumers will be able to go and physically try the products before buying. "John Lewis is where knowledgeable customers turn for trusted advice on the best products to purchase, and they are a perfect partner to help launch Nook in the UK," said Jamie Iannone, president of digital products at Barnes & Noble. John Lewis, meanwhile, is 'thrilled': Ed Connolly, director of buying for electricals and home technology at John Lewis, said: "We think our customers will love NOOK's adaptability thanks to its E Ink display and unique built-in GlowLight, perfect for day or night time reading."